From October 11th to October 13th stop by 260 Fifth Avenue for the highly anticipated Fall/Winter GANT Sample Sale. The sale willfeature a large variety of men's apparel, select women's apparel, and limited accessories from GANT, GANT Rugger, and GANT by Michael Bastian. 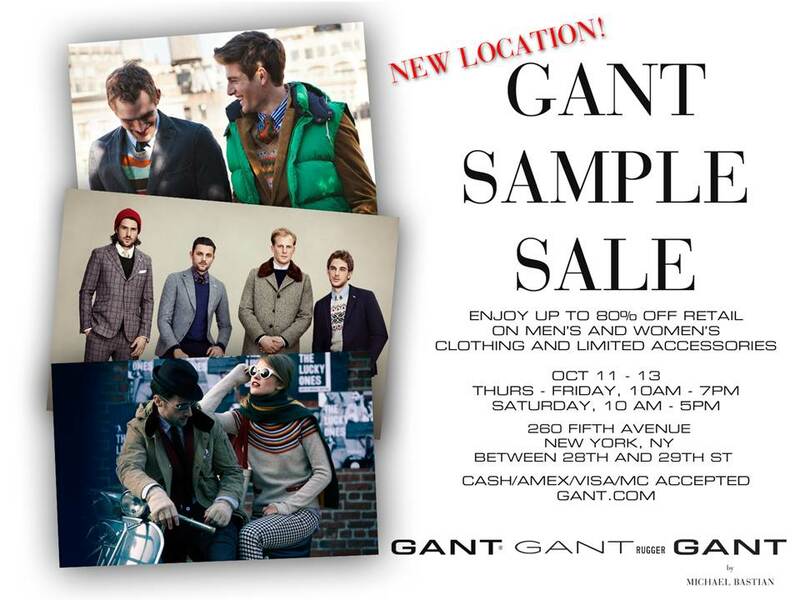 Genuine samples and merchandise for Men and Women all up to 80% off. To learn more about GANT visit GANT.com.